Broadcasting your message has never been easier. Watch our webinar and let us prove it. Want to decrease printing costs and spice up communications? Register for our on-demand webinar and we’ll show you how to make it happen. 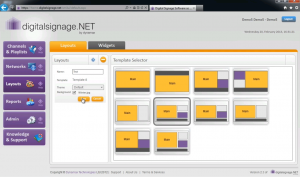 – How to use HTML5 widgets to show live data pulled from the Internet (time, news feeds, weather information etc.) and keep your screens continuously fresh and poignant. The pre-recorded webinar will be launched at the end of March and a link to the video will be sent to all those who register. 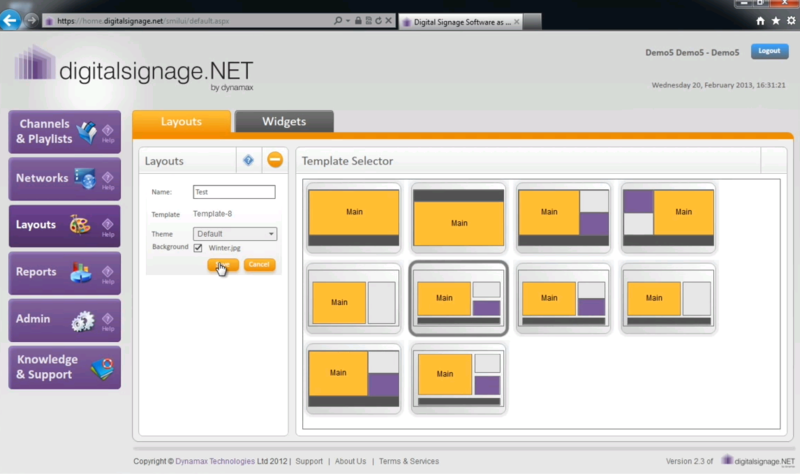 All webinar registrants will be offered FREE digitalsignage.NET accounts to which they can subscribe at any time. As an user, you will be able to upload, schedule and edit content in digitalsignage.NET and test the software at your leisure. Buy a subscription only when you’re ready to launch your digital signage project. Furthermore, if after registering you share or Like this news on Twitter, Facebook & LinkedIn, we’ll enter you into a prize draw for a FREE one- year subscription of digitalsignage.NET. You need this to send content to your screens. If this sounds interesting, register here for a quick walk-through of our digital signage software. This is an on-demand, pre-recorded webinar, so we’ll send you the link to the video once it’s made available online. Any member of a public or private organization that has a multitude of messages to send and a variety of audiences to address (staff, customers, and other stakeholders). Any AV/IT company that wants to enrich their portfolio with an easy- to-use, easy- to-sell product that is suitable to a variety of projects- from marketing and advertising to corporate communications, staff training and facilities management. As of 12 April 2013, registration for the webinar is closed and our prize draw winner has been announced. Please watch the webinar here. 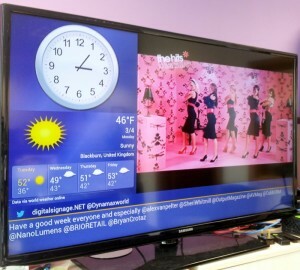 This entry was posted in Digital Signage, News, Software and tagged digitalsignage.NET, HTML5 by Dynamax. Bookmark the permalink.